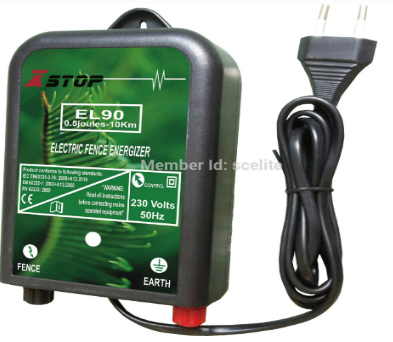 EL90 applied by Alternating Current Powered Low Impedance Energizer is designed by compacting weatherproof design,can be used for smaller fence line.All Xstop mains operated Energizers have built in lightning protection and been tested in high industrial standard to ensure a reliability power delivering with outstanding performance day by day. 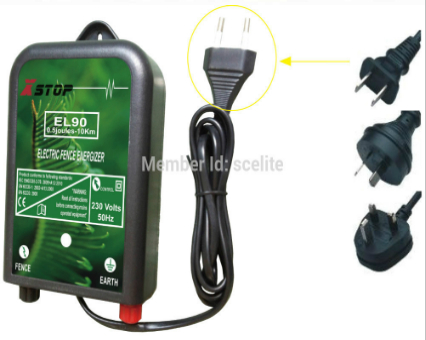 Our EL90 energizer delivers power can up 10KM for fence wire under usual conditions and easily to monitor by LED indicator light .Waterproof designer with a rugged ,heavy-duty case protects the circuitry from weather extremes.Simply plug this charger to a nearby wall outlet to deliver power to your fence without having to worry about battery life. Looking for ideal UV Protection Fence Charger Manufacturer & supplier ? We have a wide selection at great prices to help you get creative. All the UV Protection Fence Energizer are quality guaranteed. We are China Origin Factory of UV Protection Fence Controller. If you have any question, please feel free to contact us.